sailing, coral reefs, and miles of white sand beaches. Bimini is only a half block wide, and is surrounded by the Atlantic Ocean and constant ocean breezes. The best way to explore the 7 mile island is by golf cart, or bike rental. You can't get lost as there is only one main road. This is where Ernest Hemingway was motivated to write Islands In The Stream. One of the characters in the novel described life on the island in simple terms - "Swim, eat, drink, work, read, talk, read, fish, fish, swim, drink, sleep." U.S. Representative and Civil Rights Activist Adam Clayton Powell Jr. spent a great deal of time on Bimini at his vacation home. He referred to the island as his "Shaggy Paradise." Upon his death Powell requested his ashes be scattered over the island chain. Today's travel special is from Resorts World Bimini, operated by Resorts World under a franchise agreement with Hilton Worldwide. 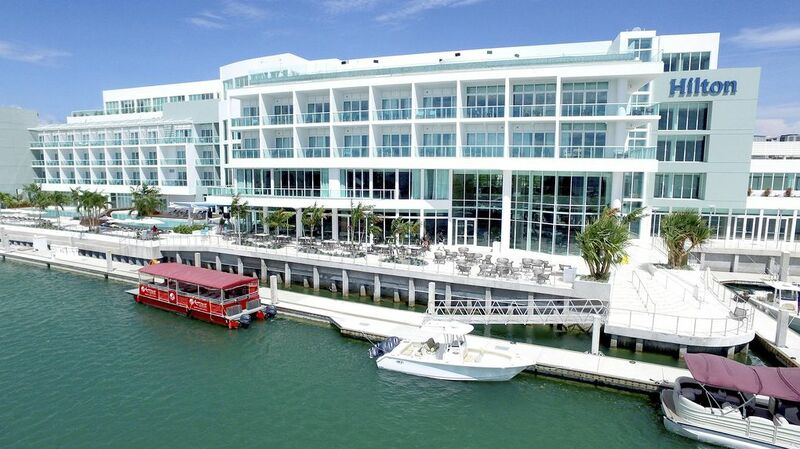 The 750-acre property features a variety of accommodations, including condos, beachfront villas and the Hilton. It also has the largest marina in the Bahamas with 280 slips. Miles of white sand beaches, infinity pools, first class spa, 10 restaurants and a world class casino. 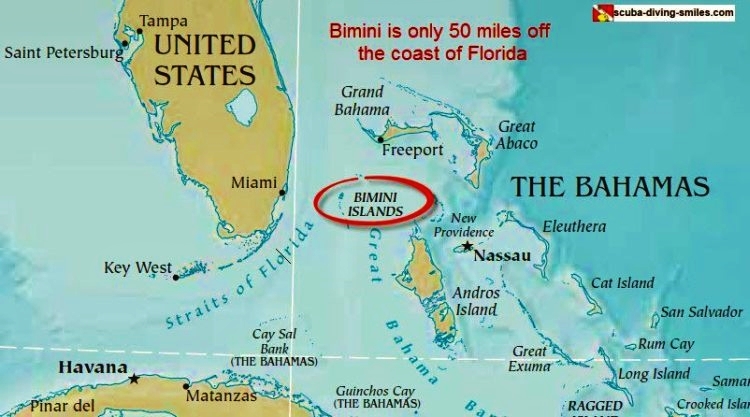 The hotel is just minutes from Bimini Undersea Dive Center and Bimini Bay Marina. 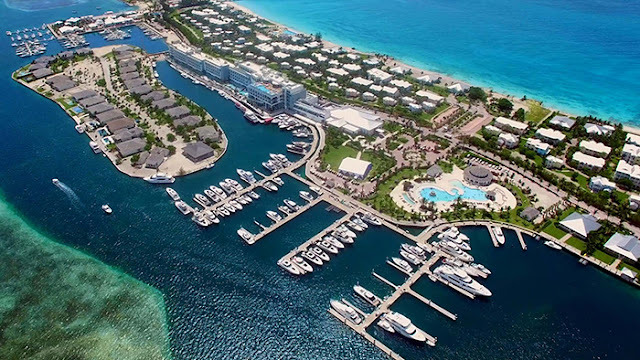 This hotel is also within close proximity of Stones of Atlantis Dive Site, Rainbow Reef, and Bimini Bay Resort and Marina. Resorts World operates an open-air tram offering free transportation throughout the property. 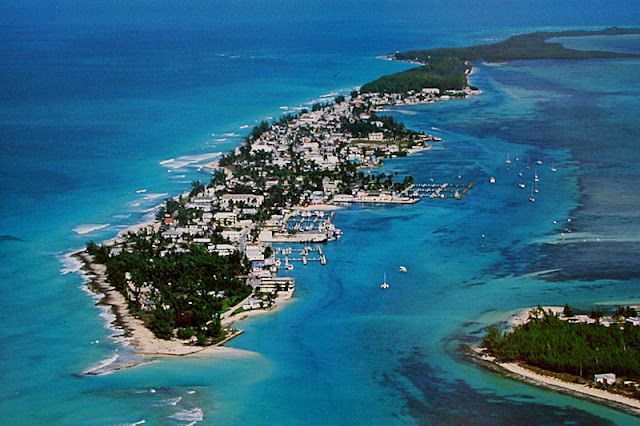 During the day, guests can also take the tram into Alicetown to visit the Straw Market and Bimini Museum. 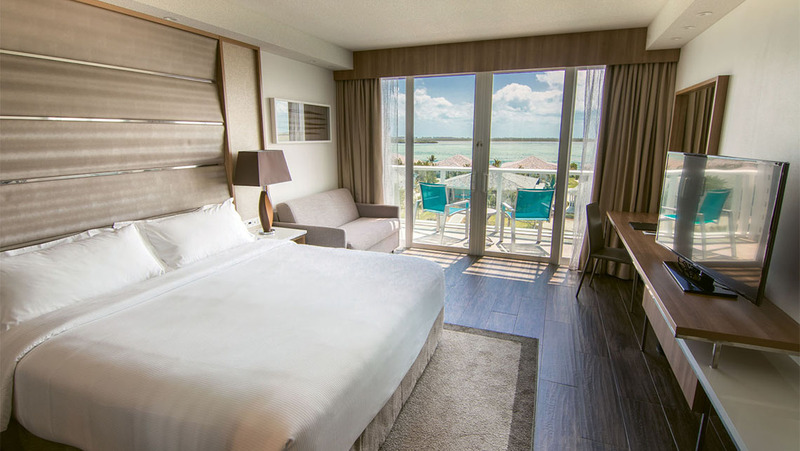 Accommodations feature breathtaking views of lush gardens, Bimini Bay, or the pristine beaches that surround the resort. 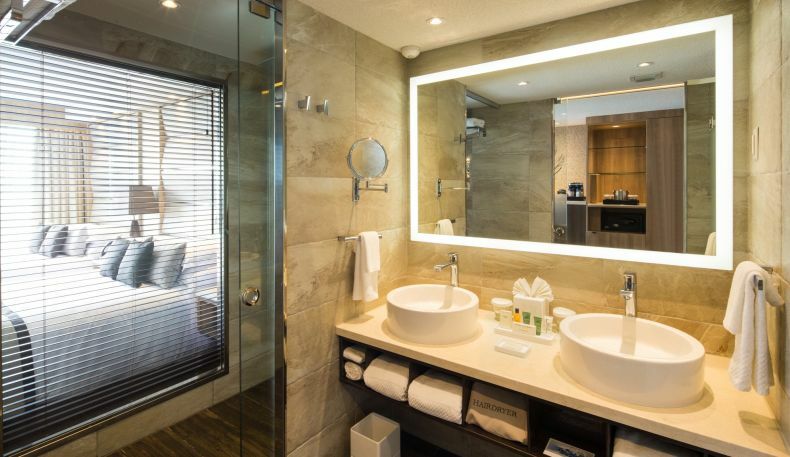 The 305 guestrooms and 18 suites feature kitchens with refrigerators, microwaves, rainfall shower heads in the marble bathrooms, LED lighting, a 46-inch HDTV, and private patios. Complimentary wireless Internet access is available, and guests can enjoy an extensive selection of activities and excursions such as snorkeling, kayaking, fishing and paddle boarding. A rooftop bar and adults-only infinity pool (one of four pools at Resorts World) offer stunning sunset views, and the private Paradise Beach is less than a 15 minute walk (shuttle service is also available). The resort includes six dining options, the Serenity Spa, a rooftop pool and grill, the lobby raw bar, a sushi bar and piano lounge. 10,000 sq. ft. of live action table games in addition to more than 150 slot machines. Baccarat, Blackjack, Craps and Roulette, and more than one hundred slot machines. 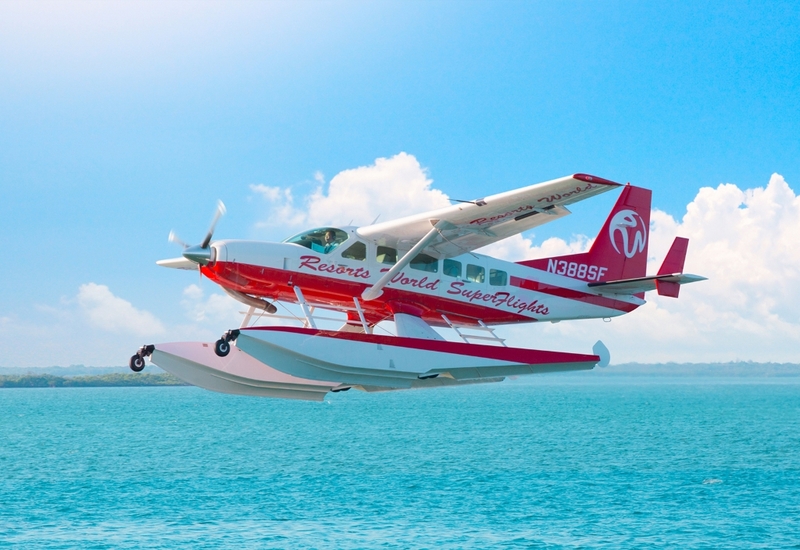 There are three main ways to reach the island - by scheduled flight, by charter/private flight, or by boat. Most travelers arrive by commercial flights which is just 45 minutes from Fort Lauderdale International Airport. 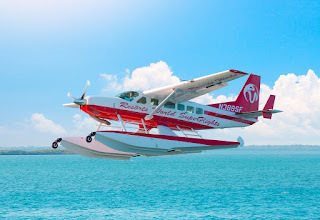 A number of private yacht, seaplane charters, and flights from Nassau, and Grand Bahama Island are also available. A Daily Resort Charge will be added to the room rate and includes the following: guest internet access; on property transportation including shuttle services from the Resorts World Bimini Casino to Alice Town and to venues within the resort; beach chairs; towels; and local and toll free calls.